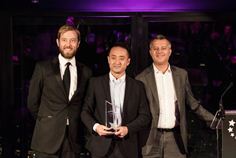 London, 20 October 2016 – ZTE Corporation, a major international provider of telecommunications, enterprise and consumer technology solutions for mobile Internet, today announced that it has won the Best Wireless Broadband Innovation award for its Pre5G massive multiple input, multiple output (MIMO) technology at Broadband World Forum in London. Sponsored by Informa, the global business media company, Broadband World Forum is an important event in the broadband industry and this award further recognises ZTE’s innovation in Pre5G massive MIMO technology. In a commercial network, the single-carrier peak rate of Pre5G massive MIMO exceeds 400 Mbps, increasing spectral efficiency by four to six times when compared with that of existing 4G networks. In addition, Pre5G massive MIMO technology is compatible with existing 4G terminals (such as 4G customer premises equipment (CPE) and handsets) so that users can enjoy a high-speed broadband experience without changing their terminals. Pre5G massive MIMO technology solves the Internet’s last mile problem by improving Internet access and therefore enhancing the user experience. Compared with digital subscriber line (xDSL) and very-high-bit-rate digital subscriber line (VDSL) technologies, massive MIMO can provide a more competitive access rate without the expense of fibre to the home. In fact, this is highly practical for both mobile carriers and fixed network carriers. Earlier this year at Mobile World Congress (MWC) in Barcelona, ZTE’s Pre5G massive MIMO base station, described as a “disruptive innovation”, won both the Best Mobile Technology Breakthrough and the Outstanding Overall Mobile Technology – The CTO’s Choice 2016 awards. Since 2015, ZTE has launched several commercial Pre5G massive MIMO pilot projects in multiple markets. ZTE has also signed memorandums on strategic cooperation in Pre5G/5G technologies with China Mobile, Softbank, Korea Telecom, U Mobile, and Hutchison Drei Austria for joint technical validation, testing, assessment and research and development. So far, more than 20 Pre5G networks have been deployed all over the world and ZTE will continue to promote a wider application of Pre5G.